Back in 1989, before I ever began entertaining the idea of returning to school to prepare for a life in ministry, a fortuitous Christmas gift in the guise of a copy of Matthew Fox’s newly published The Coming of the Cosmic Christ sent me on a journey that continues to shape my understanding of what it means to aspire to follow Christ. Barely two chapters into Fox’s challenging tome and I knew that if I was ever to begin to understand Fox’s visions of reality, I would need to begin nearer the beginning. In those days, searching for a book involved more than a web search and so I began travelling from book store to book store to scour the shelves for a copy of Original Blessing. 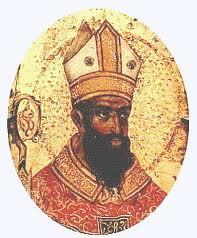 Original Blessing’s Introduction begins with two questions: “1. 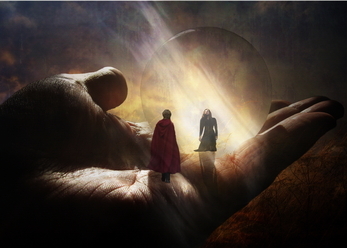 In our quest for wisdom and survival, does the human race require a new religious paradigm? 2. Does the creation-centered spiritual tradition offer such a paradigm?” Having absolutely no idea what the word “paradigm” means, I knew I was about to be challenged. So, I got my dictionary off the shelf and prepared to wade into unknown waters. Lead by Fox, I explored the ancient wisdom of Creation Spirituality and began a love affair with the wonders of mysticism and the marvels of science that continue to reveal ecstasies that intrigue and excite my body, mind and spirit! 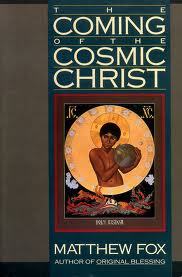 Matthew Fox’s work continues to nourish my desire to approach they Mystery we call divinity. In the videos below Fox delivers (in 2 parts) the Jarvis Lecture in which he calls for the Reinventing of Christianity. Fox believes that “if we cannot reinvent our religious then we are doomed, the human species is doomed.” Fox insists that Christianity needs to reset its focus; away from a preoccupation with redemption toward a focus upon creation. 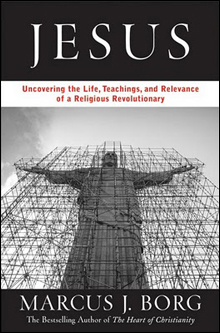 Jesus: Uncovering the Life, Teaching, and Relevance of a Religious Revolutionary If you are looking for an introduction to current scholarship on the man known as Jesus of Nazareth, Marcus Borg’s book is an excellent place to begin. For those of you (and you know who you are) who tell me you don’t have time to read one more thing: in this video Borg provides a wonderful overview of his book. Borg challenges his listeners and readers to move beyond what they may have learned to believe about Jesus toward a more nuanced understanding of the radical nature of Jesus’ life and teachings. Whether you’re a reader or a viewer, a scholar or a seeker, a believer or a sceptic, I’m sure you will find that Borg’s way of telling the story of Jesus will reveal new ways to integrate Jesus’ story into your life today. 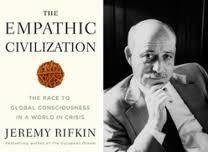 “Humans are soft-wired for empathy.” so says, bestselling author and economist Jeremy Rifkin. The first and the shortest video is an animation of Rifkin’s TED talk which provides an interesting introduction to Rifkin’s interpretation of recent scientific insights into the nature of our human species. 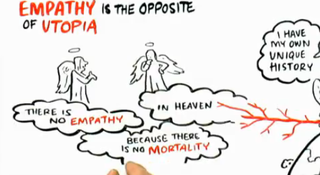 The animation will wet your appetite for the second video in which Rifkin investigates the evolution of empathy and the profound ways that it has shaped our development and our society. Matthew Fox’s Creation Spirituality has provided a pathway beyond the constrictive confines of Christian doctrine into the Wisdom tradition of the Mystics. Here he plays with the “ah” sounds of the various names for the divine. The exercise which he demonstrates is a wonderful way to open or awaken one’s self to the playfulness of the Spirit. 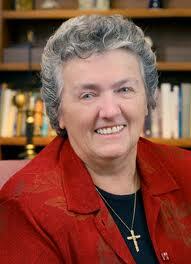 Sister Joan was undergoing surgery at the time that this lecture was to be delivered (July 1, 2012), and so the Rev. Dr. Joan Brown Campbell delivered Sister Joan’s words to the gathering at Chautauqua. Historically, when the world comprised smaller, more homogeneous societies, the concept of the common good was simpler to define. Since the Reformation, our world has become more diverse, and the idea that there could exist a singular definition for the “common good” seems impossible, Chittister wrote. 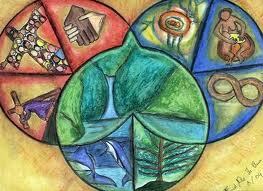 “In fact, which common good will you yourself have in mind this week? The one that is defined by majority vote? But then what about the minorities, the gays, the people of color, the women?” Chittister wrote. Other definitions of the common good are based on bridging economic division or attaining the goals many advocacy groups fight for, Chittister wrote. Still other people believe the common good means creating a homogeneous society or taking the big ideas and aims of disparate groups and reducing them to ghosts of their original might so they are universally palatable. Each of those conceptions of the common good has flaws, and each has been seen before. “The truth is that all of those possibilities are in order and all of them exist in one place or another — even as we gather here — all of them claim some kind of public allegiance, and all of them have both succeeded and failed over time.” Chittister wrote. Countless tyrants and monarchs have claimed to work for the common good for centuries. They have fallen. “How can we possibly have a common good, where the good of the ruler comes before the good of the ruled?” Chittister wrote. The only forms of governing power that truly respect and embrace the ideals of the common good are democratic, constitutional republics, Chittister said. With time, even the nations that forged their foundations on the precepts of working toward the common good have lost their way. “Instead of a common good, we seem more inclined to talk about the general good, as if we were willing to let some people right out of it,” Chittister wrote. “No doubt about it: The universal and age-old notion of the common good is an endangered species in these days,” she wrote. The idea that we live in a world demarcated by hard and fast boundaries of religion, culture, language, geography, no longer exists. Developments in technology and media have created a sieve-like world where cultures mix and blend, Chittister wrote. It is no more evident than in the United States, a country fragmented by its multicultural identity that is struggling to be united. Enhanced means of communication and transportation have further connected the world, while simultaneously highlighting the disparities that exist. “People in the barrios in the Philippines, in tents in Port-au-Prince, on dung heaps in India, straw huts in Africa, watch street corner television and see our eight-lane highways choked with cars and hear us worry about 5 percent drops in the stock markets when their infants die in their arms,” Chittister wrote. Theoretically, increased globalization was to turn into increased economic equality and peace among the world’s populations. That has not been the case. We have seen the horrors of a divided, yet technologically connected world: first in World War II, with the Holocaust and the atomic bomb, then in Vietnam, in instances of genocide and ethnic cleansing throughout the world, and most recently on Sept. 11, when a small group murdered more than 3,000 people. Human beings exist in a world that is increasingly connected through technology and economy, but despite the connectivity, we have been unable to develop the one thing that could end the barbarism the connection engenders: a shared perception of the common good, Chittister wrote. To begin the process of developing a shared understanding of the common good, Chittister wrote that people should turn to one of the most universally religious codes: the beatitudes preached by Jesus Christ at the Sermon on the Mount. The first beatitude is, “Blessed are the poor in spirit, for theirs is the kingdom of God.” That can be translated to mean that people should not live their lives perpetually seeking what they do not have. But in our time, in our country, the beatitude instructs us to work to understand what others need throughout the world and the excesses we have that we do not need. “Surely our own common good must have something to do with seeing at the very least that our national goals do not make these other national situations worse,” she wrote. “ ‘Blessed are the merciful, for they shall obtain mercy.’ When we use the sins of another to treat them as less than human, it turns our own errors into targets we wear for life,” Chittister wrote. The U.S. will see that the torture inflicted on foreign men who were collected in their homelands and held as prisoners will haunt the soul and identity of our country, she wrote. “On what grounds will we castigate those who ply the same trade on American bodies to come? Is this our new common good?” Chittister wrote. “Blessed are they who hunger and thirst for justice, for they shall be satisfied.” Today, that beatitude requires that our citizens and politicians take ownership of the decisions they make and the laws they create. The beatitude calls on people to end prejudice to champion human rights for every single human being no matter their race, gender, sexual orientation or age, she wrote. “Then the America that brought freedom and justice for all to a city near you, to a country far away will rise again. A new Eden, a city on a hill, a light for the people,” she wrote. “Until then, we must each of us refuse to let go of standards that require an equalization of black and white prison sentences, of rich and poor housing standards, of minority and white healthcare, of inner city and white educational systems. “Blessed are the pure of heart, they shall see God.” Today, that beatitude requires that people maintain their ideals throughout their lives and everything they do and in the choices they make. The beatitude means prioritizing the people and humanity of this country and forsaking the wasteful arguments of ineffective partisanship, Chittister wrote. “They are politicians who do not want to spend the patrimony of the United States on becoming the Sparta of the modern world, armed to the teeth, brutal in soul, deeply, deeply in need of art and music, philosophy and culture,” Chittister wrote. “Blessed are the peacemakers, they shall be called sons of God.” The beatitude calls on us to promote a culture that is not focused on the maintenance of power, but the spread of peace. We must oppose war and promote cooperation, she wrote. The final beatitude is: “Blessed are they who suffer persecution for justice’s sake, for theirs is the kingdom of heaven.” The beatitude tells us that we must defend justice and protect the humanity of the poor and the oppressed, no matter what we face in opposition. To build a common good we must follow those principles and demonstrate the path that leads to the common good with our own humanity, our own lives. If we do not fashion a common good in this day in age, if we do not lead by example, a common good will never be created, Chittister wrote. 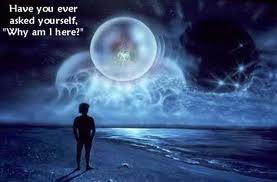 Reality is so much more than we have begun to imagine! 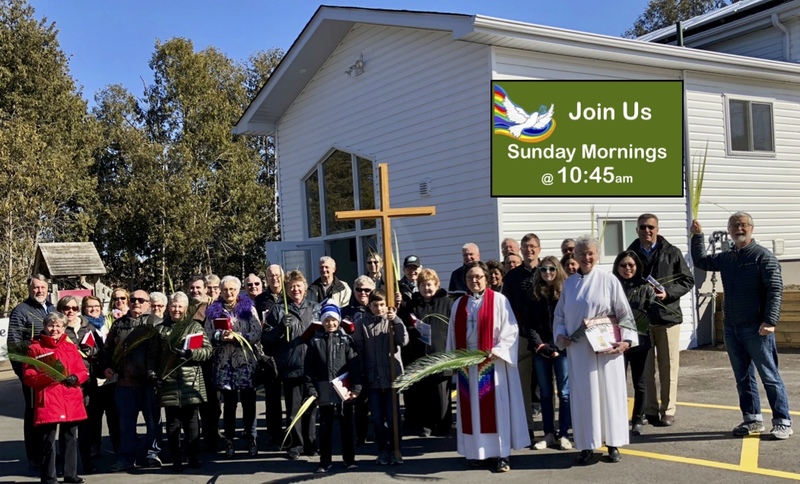 Jack Spong has been a great friend to Holy Cross Lutheran Church in Newmarket and over the years he has graced us with his presence three times. You can read what he has to say about Holy Cross here and here. Below you will find video recordings of Jack’s lectures at the Chautauqua Institute this past June. As always Jack is in great form and each lecture is well worth watching. If you are short on time, watch the last in the series and it will leave you wanting more.